"Let this be our rule for goodwill and helpfulness, that whenever we are able to assist others we should behave as stewards who must someday give an account of ourselves." 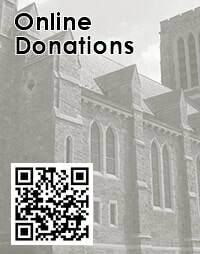 Click here to sign up for e-giving or to make a one-time online donation. You can also sign up for e-giving by simply scanning the code to the right with the QR scanner app on your mobile device.